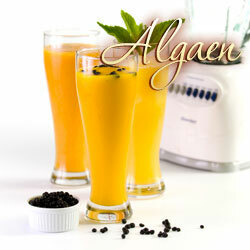 Add Algaberry in your buger! With Algaberry™, there is no need to worry about lacking of dietary fibers while enjoying your burger. Mix 1 spoon of Algaberry™ with ketchup or mustard and spread it in your burger. 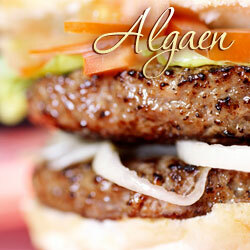 Enjoy a burger with Algaberry™ without getting a bad breath from onion and many other vegetables.